The Eagles Tribute Concert in Branson, Take It to the Limit, gives scores of Eagles’ fans their fix for one of music’s biggest acts! Although it was back in the 1970’s that the Eagles hit the airwaves with a string of huge hits — including five that snagged the number one spot on the pop charts — their legacy remains intact and their music is as popular as it ever was, continuing to gain new fans year after year. The Eagles Tribute Concert shares the music of the iconic rock band with amazingly authentic sound, vocals that easily fool your ears, and a passion for the songs that have endured for more than forty years! Hotel California, Desperado, Tequila Sunrise, Take it Easy, Best of My Love, Witchy Woman, and One of These Nights represent just a sampling of the phenomenal Eagles songs you’ll hear covered with true reverence for the part they’ve played in music history. 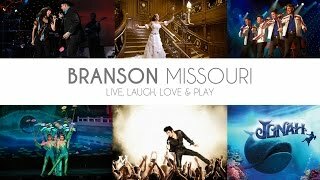 You’ve got your choice of tribute shows when you visit Branson, Missouri; they’re all top-notch and lots of fun. But, when it comes time to experience the music of one of America’s top music acts, it’s time to see Take It to the Limit, the Eagles Tribute Concert!